After Darius’s reign, his son Xerxes I took over the kingdom. He also ruled over Persia and Media, Egypt, and nations. He was known as the great king, ruling from 486 to 465 BCE. The Hebrew historians and prophets wrote about him also, in the books of Esdras (Ezra). Xerxes-I was key in revitalizing the orchestration of the Judeans rebuilding the temple in Jerusalem, and rebuilding the city. From the 11th dynasty of Babylon (Neo Babylonian) to the Achaemenid Empire, there were many kings. In a span of nearly 300 years, a new king and kingdom / empire is about to set the stage. A series of Darius, Xerxes, and Artaxerxes took the throne, but in the end, one Alexander the III killed one Darius III, conquering the Achaemenid Empire in its entirety. Alexander the III was a member of the Argead dynasty, they were Macedonians. Argead was an ancient Greek royal house, who founded the Macedonian kingdom. The most celebrated members of the royal house were Philip II of Macedon and Alexander III. 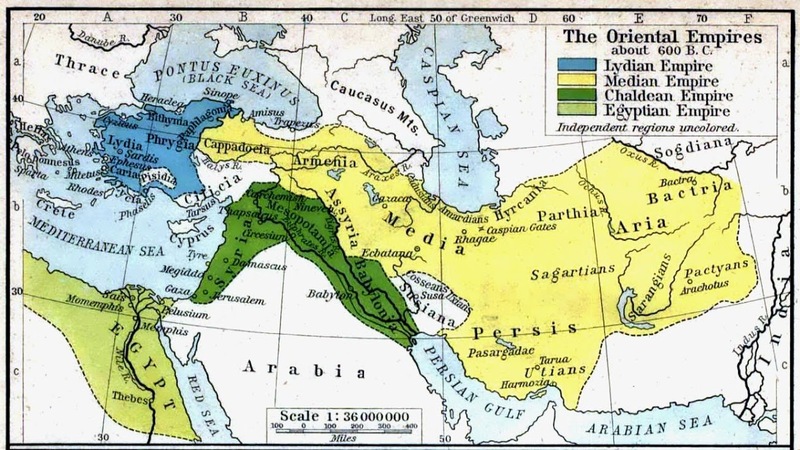 It was under Alexander III that the kingdom of Macedonia expanded and gained predominance throughout Greece, they took down the Achaemenid Empire, and stretched into Egypt and Libya to the west, and as far east as India. This Alexander III spoken of was also known historically as Alexander the great. Alexander III was the Basileus of Macedon, the Hegemony of the Hellenic League, the Shah of Persia, Media, and Babylon, the Pharaoh of Egypt, and the Lord of Asia. Alexander III swept the world swiftly and harshly. Alexander III took over the kingdom of Macedon when he was a mere 20 years of age. It didn’t take long for him to conquer the world because he died at age 32. He took over Macedonia, conquered Persia, and Asia Minor (including all Assyria and Babylonia), he put India in a basket, and also swallowed up Egypt and Libya. The Hebrew historians and the prophet Daniel were given all of this information prior to it officially taking place. Daniel was shown a dream where he saw four beasts come out of the sea, different from each other. The first was like a lion with eagle’s wings. The second was like a bear with three ribs in the mouth. The lion was the Neo-Babylonian kingdom (Babylon), the bear, was the Achaemenid Empire, the Medo-Persian empire. The third was like a leopard, which had four wings that a bird would have on its back. The leopard also had four heads, and great power and dominion were given to the leopard. The leopard is the Macedonian/Argead empire, or what we’d call today the Greek empire. This covers the greats, Cyrus, Darius, Xerxes, Artaxerxes, and Alexander. All of which, the Hebrew historians wrote about. World history told by the ancient visionaries and prophets, is what makes the Bible a special composite of books. These prophecies are redeeming the oracles from the Lord of the Heaven and Earth for mankind.